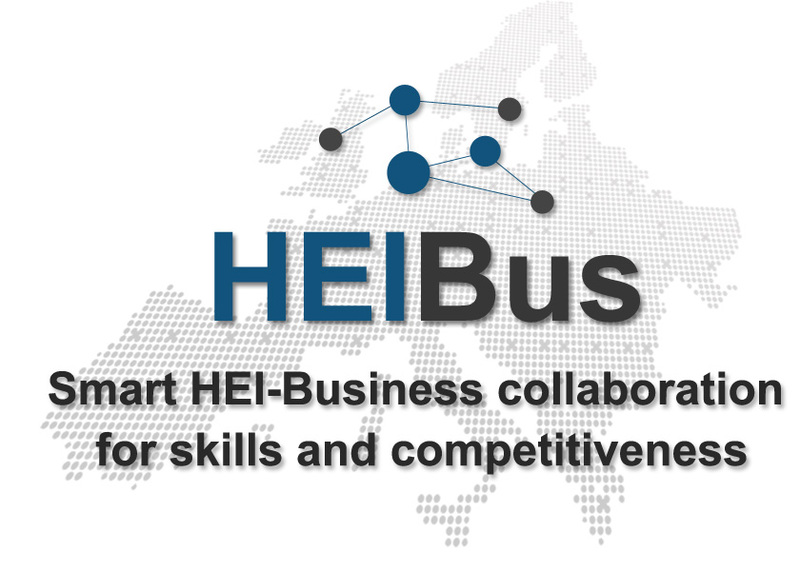 Smart HEI-Business collaboration for skills and competitiveness (HEIBus) is Erasmus + Knowledge Alliances 2 project of 36 months duration (1 January 2017 – 31 December 2019) aiming to develop smart and innovative new methods for Higher Education Institution (HEI)-company cooperation. With a budget of 989 k€ for 3 years, the project brings together European universities and companies with strong expertise and experience in their field of work. The HEIBus project focuses on strengthening the collaboration between HEIs and companies by creating cooperation models. These cooperation models increase the involvement of students and HEI staffs in international Research & Development & Innovation (R&D&I) project implementations proposed by companies. This facilitates direct contact of the HEI students and staff with companies in an international environment that stimulates innovative and entrepreneurial thinking. The new cooperation models between HEIs and companies will facilitate easy knowledge share between the involved partners and create the premises of developing new innovative products and services. The companies have the opportunity to access, in a well-defined framework, high level expertise that partners from European universities and companies have. The knowledge and expertise in different fields of the participants allows approaching complex multidisciplinary projects with a great impact for the small and medium sized companies that helps to improve their competitiveness. All activities facilitate an increase involvement of the companies in the educational process. The HEIBus project creates educational models that allow companies to be directly involved in the education and in the same time creates the framework for students to solve real life problems based on problem-solve approach. The consortium with 12 partners from five different EU member countries is led by JAMK University of Applied Sciences (Jyväskylä, Finland) as project coordinator. The other university partners are: Technical University of Cluj-Napoca (Romania), University of Miskolc (Hungary), Esslingen University of Applied Sciences (Germany) and University of Jaén (Spain). The company partners are: ITAB Pikval Oy (Finland), S.C. PRO-TEHNIC S.R.L. (Romania), SC AUTOMATES ACM S.R.L. (Romania), Electrolux Lehel Ltd. (Hungary), Robert Bosch Power Tool (Hungary), Stöbich Brandschutz GmbH (Germany) and Valeo Iluminación España S.A.U (Spain). The HEIBus Kick-Off Meeting was held in Miskolc during 23-25 January 2017.